Satisfy your sweet tooth with this deliciously creamy Nut Butter Chocolate Shake! 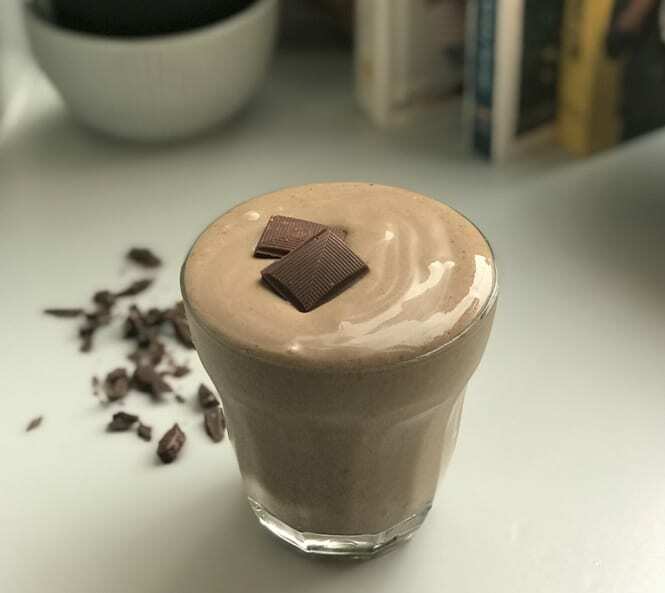 Using a Ripened Avocado Half as a base, blend together all the ingredients to create a simple and satisfying shake that will give you that chocolate fix while ticking off some of your vitamin quotas for the day. Perfect for breakfast on the go! Let the Ripened Avocado Half defrost slightly. Blend all ingredients together except for chosen milk. Add the milk in gradually to achieve desired consistency. For a thicker shake add a few cubs of ice and blend. Top with cacao nibs or a few squares of vegan chocolate! Prep time does not include defrosting time of the avocados. Tip: Leave the avocado in the fridge to defrost overnight to save on time!